UAW Local 4121 » Momentum Grows Against Proposed Title IX Changes. Take Action! Momentum Grows Against Proposed Title IX Changes. Take Action! 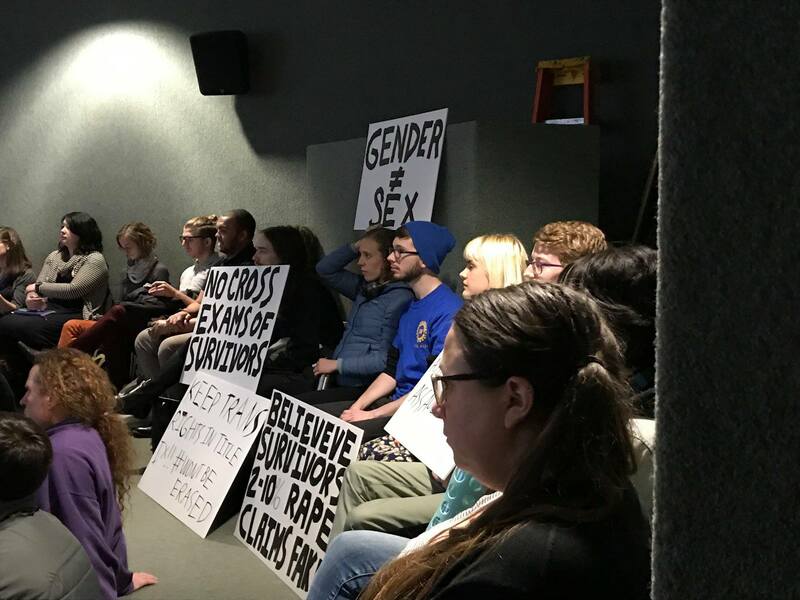 Dozens of 4121 members turned out for UW’s Title IX Q&A forum on Tuesday, January 15th. UAW members here at UW and in other institutions nationwide are taking action to resist the damaging proposals by Secretary DeVos’ to Title IX protections against discrimination and sexual harassment and violence. 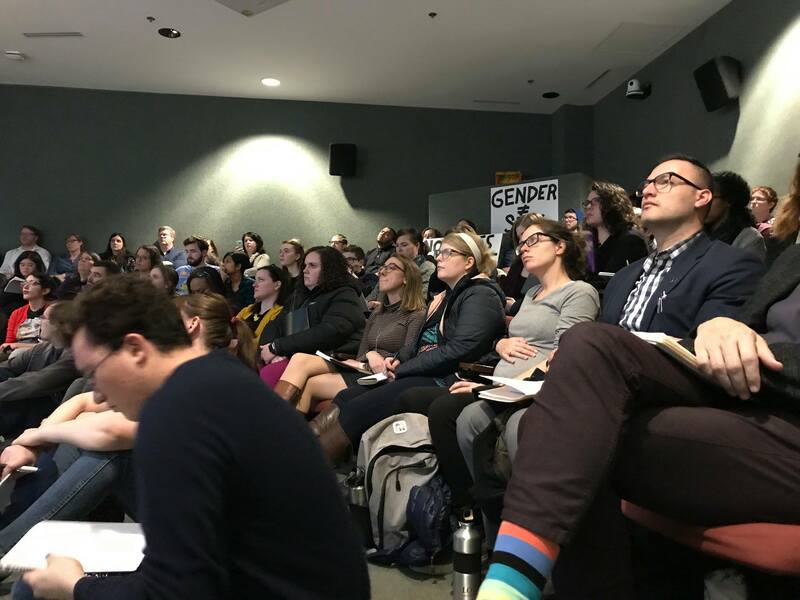 This week, hundreds have attended the Title IX input fora sponsored by UW, and overwhelmingly communicated how damaging this could be to our campus climate and efforts to be more equitable and inclusive. One member pointed out that these regulations are themselves harassing and re-traumatizing for survivors, and are not trauma-informed. At the Martin Luther King County Labor Council meeting this week, Local 4121 board members Sam Sumpter and Emily Myers led a discussion with the broader labor community about how pervasive this problem is in academia, as well as innovative methods we’ve bargained to address it through better reporting mechanisms and collective action. Set up an anti-harassment session – led by UAW members and bargained in the Spring as part of our CBA by emailing our trainers at pshd@uw.edu. Proposed Title IX Changes February Membership Meeting Thursday 1/14 5:30-7:00 p.m.